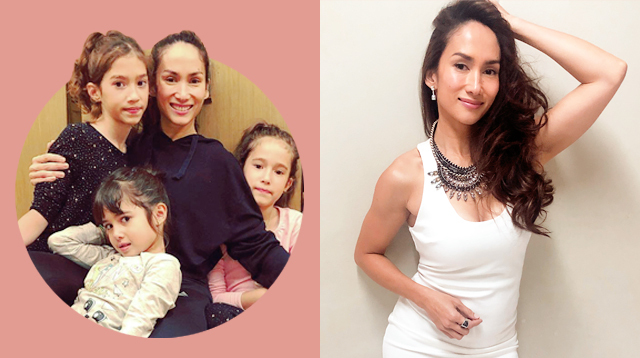 Among her five kids, Ina Raymundo usually only posts on Instagram photos of her three youngest kids, Mikaela, 10; Anika, 8; Minka, 5. Occasionally, she also uploads some photos with her son, Jakob, 14, but almost never with her eldest daughter. Last Friday, the former Sabado Nights girl finally introduced her eldest, 16-year-old daughter Erika, to her followers on Instagram. "Meet my beautiful eldest daughter, Erika with her brother Jakob," Ina captioned a photo of her two older kids in their Halloween getup. It may be Erika's first photo on Ina's Instagram—not counting the throwback photos—but as a matter of fact, Ina has already introduced Erika to the public even she entered her teen years. Ina Raymundo with her brood of five for Smart Parenting June 2015 cover feature photo. In 2015, Ina and her kids were featured on the cover of Smart Parenting magazine. Back then, Erika obliged with a family photo, although maybe reluctantly. While that shot didn't make the cover, the photo was the opening spread of Ina's feature story. In July 2016, the mom of five explained why Erika has been absent from her social media posts. "Sa lahat ng mga curious sa eldest ko, she wants anonymity. She doesn't want to be on my IG," Ina wrote. "I truly respect that, but I just want to share that my 14-year-old daughter is beautiful, smart, super strong (like her dad) and very independent," she added. In July 2018, a photo of Erika appeared on Ina’s Instagram but was deleted right away, according to Pep.ph. A screenshot of the said photo was captured by netizens and placed side-by-side with a pic of a 19-year-old Ina. Their resemblance is uncanny. 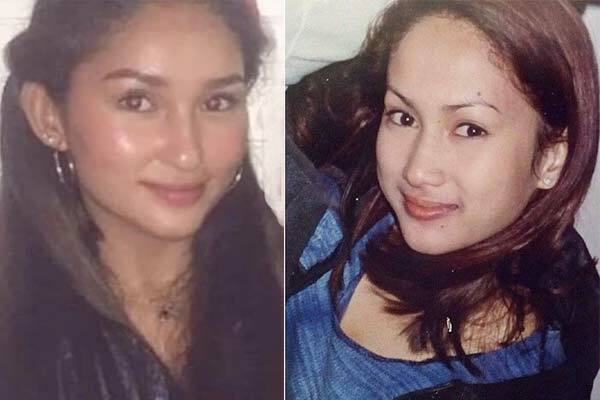 The now-deleted side-by-side photo of a 16-year-old Erika (left) and 19-year-old Ina (right). The mom of five also posted a mirror selfie of her with the 16-year-old. "Who's that girl?" Ina wrote, with the hashtags #TheNextSabadoNightsGirl with a question mark. 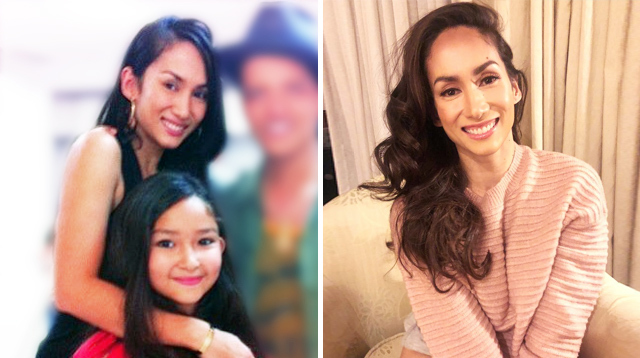 It turns out that Erika not only got her mom's beautiful face but also Ina's love for fitness! Ina's post also included the hashtag #someday, which means we just need to wait and see if Erika will take up the moniker that helped cement her mom's mark in Philippine showbiz. The actress had previously said only her youngest Minka has expressed interest in acting.